The Tofurky brand has a marinade/basting sauce on the box. I'd suggest trying that. This is awesome - I saw your FB picture yesterday with all the faux options and picked up the Gardein today (because of the price). I think I'll use your pepper suggestion - and some sage - and rub it on the roast before baking. Thanks for the review! No you're right JL, I made it the laziest way possible. A rub definitely would have been a good choice. Yea, I always do a rub on my Tofurky to liven it up. They have some recipes on the box. Rad! Very excited to try this one this year! i have had tofurky and really hated it! the taste was pretty good and the gravy was great! but it was just such a nasty consistancy. I found veggie turkey burgers once too (i never ate red meat, so as a kid i loved turkey burgers) andd those were nasty too. i am now ok with the fact that i will never have turkey again. i like the gardein beef, but i don'y like the chicken too much, is the turkey anything like the chicken? It's similar, but it does have a Turkey flavor. I was hoping to try the Gardein roast this year. But Memphis doesn't have it yet, and I saw Tofurky on sale so I bought that. I LOVE Tofurky. It's improved taste-wise over the past few years. Hmmm, sounds like the stuffing is the star. Maybe I could pick it out and serve it :)It would go nicely with your veggie sides. I usually like Gardein stuff. I like that there are now so many new options for busy (and lazy ;) vegans. It actually looks very appetizing. Rock on! Mike picked up a couple of these for Tday! I love Tofurky so much it'd feel like cheating to try another one . . . I'm going to seek out this brand and do a preview. I'm testing to see if any faux meat will grace my Thanksgiving table. 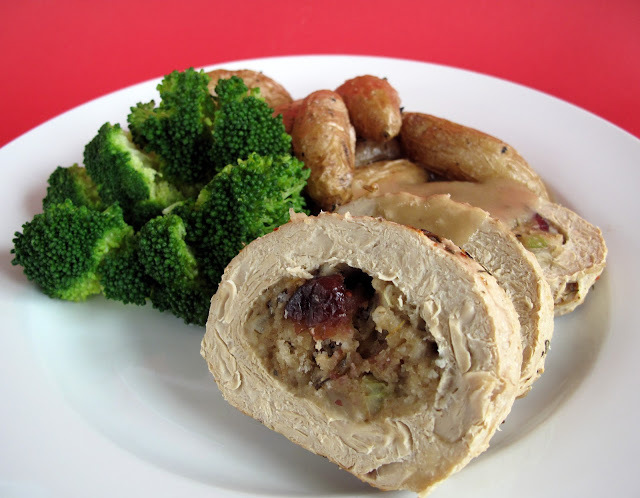 Tried Tofurky yesterday, yucky, too rubbery. Thanks for the heads up! 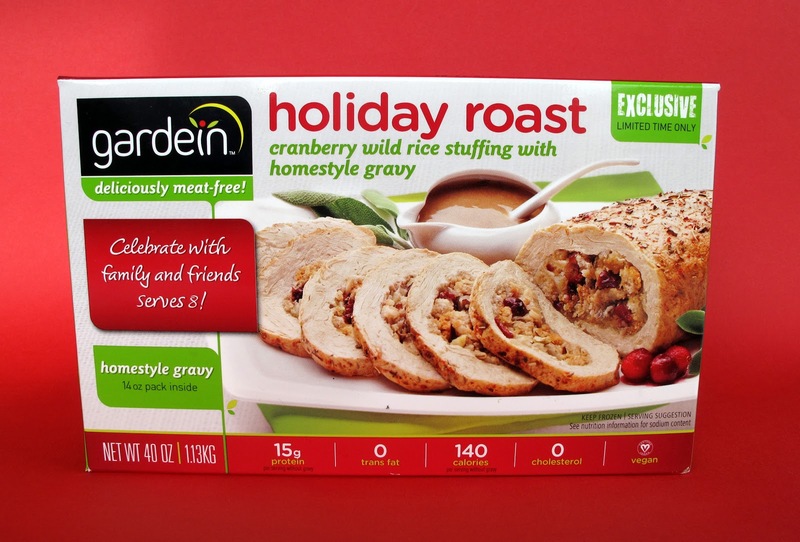 Where is the gardein holiday roast found? Found it at my Whole Foods. Call and ask for the Holiday Table. They need 48 hr notice to special order.